American Kitchens’ short history began in February of 1945, when the American Central Manufacturing Company, founded in 1898 in Connersville, Indiana, acquired the SKC Aircraft/Steel Kitchens plant from Sam and Ira Block, the owners. An integral part of the automotive industry, American Central had the newly acquired company resume manufacture of stamped metal appliances. Additionally, the acquired company started to produce refrigerators for the Admiral Corporation of Chicago. One of the plants originally utilized for the production of automobile parts was used for the expensive porcelain-enameling process for the refrigerators. Subsequently, the first was unveiled in October of 1945 and given to Ralph Gates, the governor of Indiana. A year later, all of American-Central was purchased by Aviation Corporation, or AVCO, and it renamed the appliance and refrigerator department the American Kitchens division of AVCO Manufacturing. While a portion of the newly acquired company continued to manufacture parts for Jeeps and other cars, American Kitchens began to produce kitchen sinks, faucets, shelving, cabinets and the like in addition to Admiral Refrigerators. Around that time, AVCO also purchased Crosley Appliance Company, which resultantly shared a manufacturing facility with American Kitchens in Connersville. Soon, Crosley’s automatic dishwasher became a part of American Kitchens’ assembly line. As a result, American Kitchens sold a number of their dishwashers under famous brands like Sears, Roebuck & Co., Whirlpool, and Westinghouse. While this portion of the business thrived in the early 1950s, it suffered from competition with AVCO’s other divisions. So, by the end of the 1950s, this division only comprised 11% of the entire company’s profits. Consequently, Sam Regenstrief purchased a majority of AVCO’s Connversville businesses in 1959 for $2.6 million. He renamed American Kitchens the Design and Manufacturing Corporation (D&M). As such, it focused on dishwashers and purchased the former Crosely appliance plant from AVCO. In 1987, a year before Regenstrief’s death, D&M’s assets were sold to White Consolidated Industries. Three years later, the firm was dissolved, thus bringing an end to American Kitchens. American Standard is one of the most famous names in plumbing supplies across the world. Its history is extensive and covers fields outside of plumbing. In 1872, John Bartlett Pierce bought a tinwork shop in Massachusetts for $2,800. He established the Pierce Steam Heating Company in 1881. This later merged with the Michigan Radiator & Iron Company and Detroit Radiator Company in 1892. 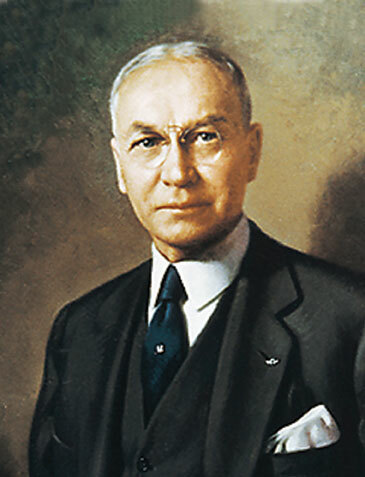 Clarence Woolley, general manager of the Michigan Radiator & Iron Company, oversaw this merger. The combined companies called themselves American Radiator. This amalgamation soon acquired Britain’s Ideal Boiler Company and many small, independent companies with the help of J.P. Morgan. By 1899, American Radiator was the world’s largest heating company, accumulating a large amount of wealth and prestige. In 1917, it supported the American efforts in World War I by offering use of its factories to the Government. Later, in 1929, it combined with Standard Sanitary Manufacturing to become the American Radiator and Standard Sanitary Corporation, or the AR & SS Corporation. The latter company’s roots dated back to 1875, when two Irish immigrants, James Arrott and Francis Torrance, bought a bankrupt kitchenware factory in Pittsburg, and used it to produce cast-iron washstands, water closets and bathtubs. Arrott and Torrance called their company Standard Manufacturing. In that same year, Ahrens & Ott Manufacturing was established in Louisville, Kentucky. Four years later, two Standard Manufacturing employees started Dawes & Myler, a company devoted to enamel-ware and sanitary-ware. This business merged with Ahrens & Ott and six other companies in 1899 to form Standard Sanitary Manufacturing. Such innovations as the one-piece tub helped to make Standard Sanitary the largest supplier of plumbing goods in the world by 1901. It went a step above being the largest supplier; it showed that bathrooms could be more than utilitarian by acquiring the Great Western Pottery Company in 1913, and by introducing a stylish initiative in 1929. For the first time, plumbing supplies were sold in various colors and fashions. In that same year, it merged with American Radiator and introduced the “Standard” Electric Dishwasher, the first of its kind. With the formation of AR & SS Corporation, the two companies continued their tradition of excellence, introducing the world to new innovations, promoting sanitary conditions for all, and supporting the country in its time of need; during World War II, AR & SS lent out their factories to the Government. After this, it began to produce such things as enamel-coated bathtubs, skid-resistant tubs and leak-proof valves. The company officially became known as American-Standard in 1950, dropping the hyphen in 1968. Though it has branched out into other areas, such as atomic energy and space technology, American Standard has remained most closely devoted to plumbing supplies over the years. Nonetheless, the company encountered some financial difficulties in the 80’s, and was purchased by Kelso & Company in 1988. American Standard then became private until 1995. Two years later, it was financially stable enough to split from Kelso & Company. Today, American Standard is as successful as ever. In recent years, it has accumulated many companies: Jado, Porcher, Eljer, Crane Plumbing, Fiat Products, Safety Tubs, and Decorative Panels International. Furthermore, it has started what is called a “blue” initiative, selling products and funding programs and websites to help conserve the Earth’s water. If you need to fix your American Standard toilet, our website will be able to help you. First, you must find the number located inside the toilet’s tank. It has four digits which are stamped either on the tank lid or inside the tank on the back wall. 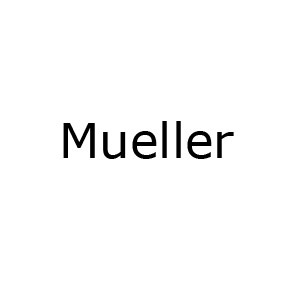 These four digits are the model number. For two-piece toilets the model number refers to the tank, and for one-piece toilets, the model number refers to the toilet. Sometimes, the four digit model number is written within a larger number; for example, the model number 4043 is wrapped within the whole number, 53640432. Typically, the model number starts with a four on two-piece toilets and a two on one-piece toilets. Recently, American Standard has started putting the tank lid number on the lid, while the tank number is placed on the back wall of the tank, just at the waterline. The tank lid number generally starts with a 738 and is six digits in length. Any one of the given numbers will help you locate your toilet in the advance search screen on the members’ version of our website. First, select American Standard as the manufacturer you are searching and then enter the model number. Our website will thus be able to identify the specific details of your toilet and to help you with your problem. Bibliography is available to members upon request. Arrowhead Brass takes great pride in the fact that its products have been manufactured here, in the United States, since the company’s founding in 1936. Then, Frank V. Enterante started his business in his garage, with his son, Lou. Together, they made hose bibs. Eventually, their product line grew to include sill faucets, boiler drains, compression stops, washing machine valves, log lighter valves, and frost-proof hydrants. 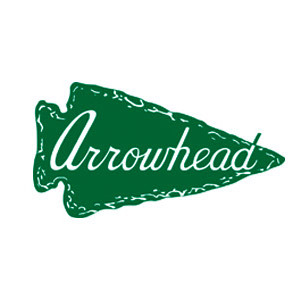 Their unwillingness to compromise quality by using cheaper materials has helped ensure Arrowhead’s success; they proudly use only the best, including stainless steel, red brass, and type “M” copper. Recently, Arrowhead introduced new assembly equipment and built a new foundry, additions that furthered productivity and efficiency. In 2006, the company merged with Champion Irrigation, LLC. Arrowhead has won a number of awards for some of its newer products, proving itself as a truly reliable and efficient company. William R. Bootz began manufacturing sheet metal assemblies and stampings when he purchased the assets of Crescent Stove Works of Evansville, Indiana, in 1937. A year later, Bootz’s company produced steel for the United States Army and Navy, subsequently becoming Evansville’s first war factory. During World War II, it received Excellence awards from the Army and Navy for providing practice bombs and cooking equipment. Afterwards, Bootz Manufacturing created steel products for the U.S. government and American companies such as Whirlpool, Coleman Co., and Hunter Fan. In 1960, Bootz embarked on a partnership with General Electric, manufacturing stamped steel lavatories, sink shapes, and eventually bathtubs. In 1979, Bootz purchased Peerless Pottery, which consequently produced porcelain-on-steel lavatories, bathtubs and kitchen sinks. In recent years Bootz has expanded its production capabilities by opening a new distribution center, installing new equipment, keeping up with emerging digital technologies, and, above all, maintaining attentive customer service. The company is a leader in the porcelain-on-steel market, selling over 150 stock items to domestic and foreign customers under its trusted brand name. Still privately owned, Bootz is run by President and CEO Peter DeSocio and vice president of engineering and quality control, Thomas Bootz. Bootz Industries history by Christine Valzovano. In 1908 Walter Owen Briggs established the Briggs Manufacturing Company as an independent producer of automobiles. It soon became the world’s largest of its kind. Such success allowed Briggs to become part-owner of the Detroit Tigers in 1919 and full-owner in 1935. In 1938, he even built up the stadium, renaming it after himself. Briggs also helped to found the Detroit Zoo in 1928. Despite such activities, the major automotive companies began to rely less upon independent producers like Briggs, forcing him to find a way to keep his business running. As a result, his company became involved with steel plumbing-ware production in the 1930’s. The business found success in this field, especially with the acquisition of Abingdon Sanitary Manufacturing in 1946 and Case Manufacturing in 1963. With the help of Abingdon and Case, the inventor of the one-piece toilet and the first to produce plumbing supplies in multiple colors, Briggs developed a reputation for innovation. In 1973, the organization built the Knoxville Steel Plant, which underwent a $3 million modernization in 2008, making it the largest porcelain-on-steel plumbing-ware plant in the world. In 2000, production for the company was relocated to South America, but marketing and manufacturing remained exclusively in the United States. In 2002, Briggs nearly went under, due, in large part, to the falling price of bathtubs. Luckily, in 2005, Cisa Ceramic Industries of South America, a business based in Colombia, invested $2.7 million in a modernization project for Briggs. In 2011, Brigg’s U.S. senior management acquired it again, renamed it the Briggs Plumbing Company and ensured that it was entirely American-owned. Chuck Dockery, president, CEO and co-owner, recently announced that he and his company are devoted to efficient, environmentally friendly supplies that guarantee customer satisfaction. They pride themselves on assembling vitreous china, enameled steel products and faucets for commercial, residential and hospitality settings. Briggs’ tank numbers are usually clearly marked on the back inside wall of the tank, near the waterline. On one-piece toilets, the number located there is the model number of the toilet. On two-piece toilets, the number there is the tank number for the whole product. Briggs’ tank cover numbers are each four digits that begin with either a seven or a three. All of these numbers can be entered into the members’ section of our website to find roughing sheets, replacement parts, catalog cuts, color matrices and other such information. 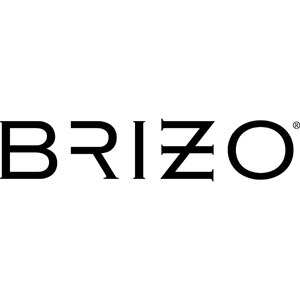 Named for the Greek goddess who protected maritime trade, Brizo offers a fashionable line of plumbing supplies. It was originally established in 1995 as Delta Select, a subset of Delta Faucet Company, which is owned by the Masco Corporation, a business that has devoted itself to manufacturing reliable products for home construction and improvement since 1929. 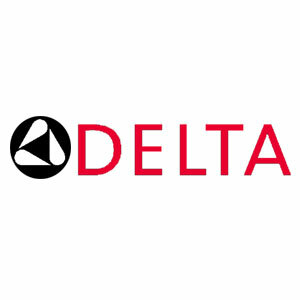 Delta Select became a separate sister company in 2004, and was renamed to reflect the classical high-end elegance and reliability of its products. As the primary sponsor of designing mogul Jason Wu, Brizo seeks to make a fashion statement in the home, for Wu believes that being fashionable is not just about one’s manner of dress; it’s about one’s lifestyle as a whole. Brizo is also the proud sponsor of the St. Jude Children’s Research Hospital Dream Home Giveaway. Since 2010, the company has donated its kitchen and bathroom faucets and fixtures to the homes of all 35 Dream Home Giveaways. This and other such donations have amounted to an annual donation of $430,000 to St. Jude. 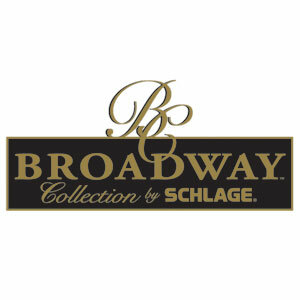 This company was originally called Broadway Industries, but carried out business under the title of Broadway Collection. According to our research, it was initially founded in 1945 as a hardware store in Waldo, Kansas. In 1972, it relocated to Olathe, Kansas, and became a plumbing manufacturing company that produced and sold elegant and high-end faucets and indoor hardware to large commercial clients, such as the famous Ritz-Carlton hotel. Around that time, Broadway began to buy a large portion of its brass supplies from Centro Industrial De Ferragens (CIFIAL), a Portuguese company. 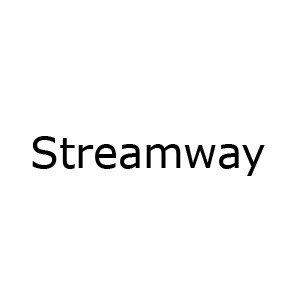 Unfortunately, Broadway garnered a $3 million debt with CIFIAL and was unable to pay it. Thus, in 1997 it declared bankruptcy and was bought by the H.B. Ives Division of Harrow Products, Incorporated, a Connecticut-based manufacturer of builder’s hardware, for $3.8 million. This company and Broadway Collection were later purchased by Ingersoll Rand in 1999. Today, it is still a part of Ingersoll Rand, which sells a variety of brand names, including Schlage, Club Car, and Trane, to the construction, mining, industrial and commercial markets. Case Manufacturing is probably most famous for being the first company to produce the one-piece toilet, in 1925. It first appeared with a side lever and kidney-shaped lid. Called the Cadillac of toilets, the Case one-piece inspired many variations on this style, and is still sought by collectors in its original form. Case was also the first company to market its plumbing supplies in a palette of colors. It was originally established in Buffalo, New York, in 1853 as the W.A. Case & Son Manufacturing Company. 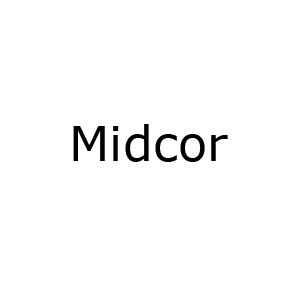 In 1952, it was acquired by the Ogden Corporation, a company that identified itself as an investment company; however, after acquiring Case, the Securities and Exchange Commission argued that Ogden was not an investment company, and so it came to identify itself as a manufacturing company. Today, Ogden is known as the Covanta Energy Corporation. In 1963, Briggs Manufacturing purchased Case, an action that helped Briggs become a very prominent and innovative force in the plumbing industry. Case Manufacturing history by Christine Valzovano. 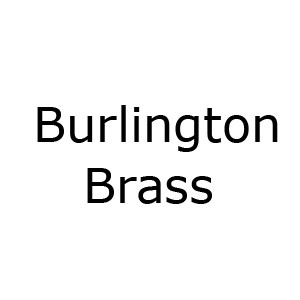 Central Brass Manufacturing was first established in 1895, and has been providing dependable services ever since. The company’s mission has remained the same throughout the century: “To produce fittings of the highest quality and value for the wholesale plumbing industry.” Its employees’ devotion to its original mission is clear, for Central Brass Manufacturing is now one of the most trusted names in the plumbing industry. It provides a wide variety of supplies and efficient customer service. Its website gives an in-depth description of each of its products. It also allows users to search for supply parts according to the serial number of the product in question. Furthermore, it tells users how and where to locate certain products based on their needs. 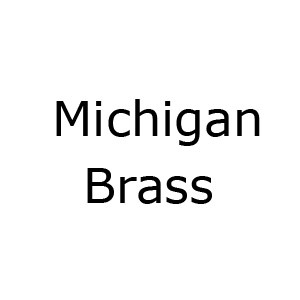 All finished products are shipped from Central Brass’s headquarters in Cleveland, Ohio, and feature all-cast brass construction designed for endurance. The company prides itself on the elegance of its products. This is a green company that protects the environment by only selling spouts fitted with 2.0-gpm aerators. 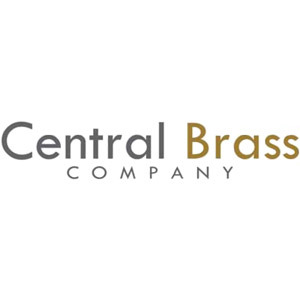 In 2007, Central Brass Manufacturing sold its sales assets to Pioneer Industries, Inc., a California-based manufacturer of faucets and plumbing supplies. Prior to this acquisition, Central Brass had declared bankruptcy, and thus would have found continuing business impossible without the assistance of another manufacturer. 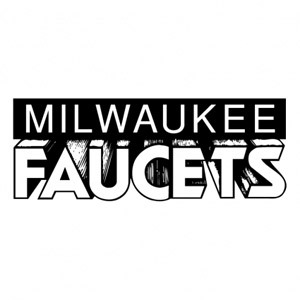 Chicago Faucets has been devoted to providing quality faucet parts for the past 110 years. Its long history began in 1901, when its founder, Albert C. Brown opened a small shop near the West Side of Chicago. He manufactured many plumbing fixtures as an OEM supplier. Additionally, he produced lamp shade frames, oil burner tips and nozzles, and gas regulator valves. Ten years later, Brown’s shop met with such success, that it began to sell its products under the Chicago Faucet Company name. Brown and the members of his company created many patents, most notably the Quaturn cartridge in 1913. This established Chicago Faucets’ role as a leading member of the faucet industry. Furthermore, it revolutionized the plumbing industry as a whole; it was easy to replace and made turning faucets on and off much easier, because it only required a quarter turn instead of a full one. After this invention, Chicago Faucets was celebrated for its durability, reliability and devotion to customer service. It began to distribute products all across the Midwest, never forgetting the importance of customer satisfaction. Though the company flourished in the 1920’s with Chicago’s building boom, it struggled during the Great Depression, like most organizations. Luckily, Chicago Faucets never closed its doors, and during World War II and the Korean War it flourished again by producing screws, nuts, bolts and parachute hooks. Since then, the company has only continued to grow. The internationally accomplished Geberit Group acquired Chicago Faucets in 2002, further ensuring the faucet company’s success. Today, Chicago Faucets employs more than 500 people in several different locations in the United States. 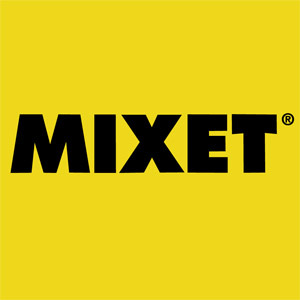 It prides itself on being one of the few companies that produces permanent mold, yellow brass castings in the U.S. It is still devoted to quality, durability and customer service, selling fittings to a variety of commercial locations. Crane Plumbing has a long and impressive history that all began with the determined and hard-working Richard Teller Crane. In his early twenties, he opened a foundry in a small corner of his uncle’s Chicago lumberyard. The year was 1855. Crane worked alone to produce and sell copper lightning rod tips and brass couplings. A year later, he hired two employees and established a partnership with his brother Charles, forming R.T. Crane and Brother. Soon, they produced plumbing supplies, engine parts for trains, and products devoted to steam power. Expansion rapidly ensued, giving the brothers business in Wisconsin, Kentucky and Iowa. Eventually, Crane garnered a contract to supply steam heating products to the new Cook County courthouse and the Illinois State Penitentiary. During the Civil War, Crane provided the Union Government with brass fittings, saddle materials, plates, knobs, spurs and wagon equipment. Such growing business ventures allowed the Crane Brothers to build its own industrial factory in 1865. They even changed their company’s name to the Northwestern Manufacturing Company to display its broad range of business and products; by 1866, the company was selling plumbing fixtures, fire hydrants, water pumps, fans, steam engines and beer barrels, to name a few products. Its water pumps proved very useful during the Chicago Fire of 1871, a disaster that further solidified the Crane Brothers’ success. Nonetheless, Charles Crane retired in 1871, and in 1872 Richard changed the name of the company to the Crane Brothers Manufacturing Company. The business continued to expand, opening branches in Omaha and Los Angeles. In 1890, its name was once again changed, this time to the Crane Company. As the years passed, the business flourished and even introduced standards that other companies followed, including gauging steel flanges. In 1912, Richard Crane passed away, leaving the business to his son Charles, who gave control of it to his brother, Richard T. Crane, Jr., in 1914. In 1918, the Crane Company entered foreign markets by incorporating Crane Limited, a Canadian company that eventually gained Canadian Potters Limited, Warden King Limited and Crane Steelware Limited. Branches and manufacturing operations were also opened in France and England. After World War II, Crane became involved in the chemical, atomic power and aircraft markets. It developed a hydronic heating system in 1953, making it the United States’ largest producer of residential heating by 1956. In that same decade, Thomas Mellon Evans was elected as the new chairman and chief executive officer. Subsequently, the Crane Company acquired the Chapman Valve Manufacturing Company; the Cochrane Corporation, which focused on wastewater treatment; the Deming Company, which manufactured residential and industrial pumps and water systems; and the Chempump Division of the Fostoria Corporation, a subset that focused on leak-proof pumps for hazardous fluids. These acquisitions helped the Crane Company become prominent in the pollution control and plumbing arenas. Simultaneous to these acquisitions, Crane had established companies in Italy, the Netherlands, Spain, Australia, the United Kingdom and Mexico. Meanwhile, the plumbing division of Crane, which had been the leader of the plumbing supplies market since the late nineteenth century, had begun to lose its prominent position to the likes of Kohler, Inc. and American Standard during the 1970’s. This, according to our sources, was due to the business’ overconfidence and subsequent lack of effort. 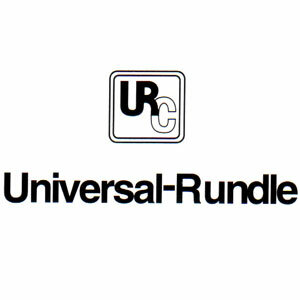 With the diversification of its interests and the restructuring of its company, Crane sold its U.S. plumbing division to CR/PL, LLC, a plumbing products manufacturer, in 1985. CR/PL had only been founded three years earlier. Despite its new owner, Crane Plumbing continued to market plumbing fixtures and specialty plumbing products in Canada and the United States. It became based in Evanston, Illinois. By the early 2000’s, it was selling products under its own brand name and under those of Fiat, Showerite, Universal-Rundle and Sanymetal. In 2001, however, it sold Crane Canada to CR/PL. In 2005, Sun Capital Partners, a Boca Raton-based private investment firm, bought a controlling interest in Crane Plumbing, helping to carry it through what we can only assume was financial difficulty. Three years later, American Standard announced its intent to merge with Eljer and Crane to form American Standard Brands. Today, Crane remains a manufacturer devoted to the excellence of its plumbing fixtures, operating within American Standard Brands. Considered the top faucet manufacturer in the world, Delta Faucet Company has decidedly modest origins. It was established by the Masco Corporation, which had been founded in 1929 by a poor Armenian immigrant, Alex Manoogian, and his two partners. The business originally began in Detroit as Masco Screw Products. Twenty-five years later, Masco had risen to economic prominence, and Manoogian was presented with a Californian’s invention: a single-handle faucet. Despite the fact that the invention leaked and was considered an oddity, Manoogian bought the rights to the product and perfected it. By 1954, he had transformed the quirky invention into the first successful washer-less ball valve. He called it the Delta faucet, because the faucet cam was in the shape of the Greek letter, delta. He tried to sell this product to a plumbing company, but none would invest in what was then termed a risky venture. Not wanting to give up on the faucet, Manoogian sold it to plumbers from the trunk of his car. In fact, he gave away a large portion of the faucets simply to get the word out. This worked better than he could have hoped, for the Delta single handle faucet took off; the absence of washers ensured that it didn’t leak, making it quite a success. Soon, Manoogian moved his newfound faucet business to Greensburg, Indiana and called it the Delta Faucet Company. Over the years, the company developed a number of innovations. In the 1970s, it sold decorative faucets at affordable prices, and it became the first faucet manufacturer to market its products in print and on television. By the 1980s, Delta no longer exclusively sold faucets to plumbers and consumers; it also sold commercial faucets to builders, architects, interior designers and the like. In 1995, it began to sell its products in stores like the Home Depot and Lowe’s. It continues to be an innovative company, producing such technologies as Scald Guard, Delta Brilliance anti-tarnish finish, and Touch2O. Furthermore, Delta is devoted to water conservation and anticipating user needs. It has received many awards for its collections, and sells faucets to buildings in exotic locations such as Dubai, Tokyo and Shanghai. It has manufacturing plants in Greensburg, Indiana; Jackson, Tennessee; London, Ontario; and Panyu, China. Every month, Delta produces a staggering one million faucets. Over sixty years ago, Aloys F. Dornbracht and his son Helmut invented a new faucet fitting with an extended spout in a shack in Iserlohn, Germany. After much hard work, Aloys Dornbracht decided that their invention was ready to be sold, and so he traveled to Cologne, France, where he distributed the product as a door-to-door traveling salesman. In a few years time, father and son’s company was producing 40,000 pieces a month. In 1969, Helmut introduced the Edition 2000 luxury fitting, a new product that generated some ridicule because of its strange, crescent-shape. Customers, however, appreciated the unique design and functionality of this product, subsequently ensuring Dorn-Bracht’s growing success. And so, the company focused on functionality in the sixties and seventies, with shelved mirrored cabinets; single-lever mixers; and showers with thermostats. 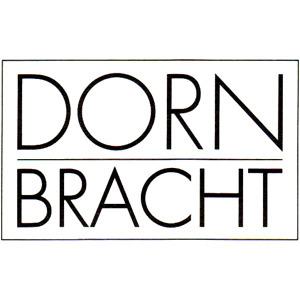 In the eighties, Dorn-Bracht began to emphasize design, in addition to functionality, with such products as the Domani fitting. It also entered the kitchen fittings sector. In the nineties, Dorn-Bracht continued to set trends with the Tara design, a two-handle faucet. At the time, it was considered out of date, but Dorn-Bracht’s design caused it to come back into vogue as a retro product. Shortly after this, Dorn-Bracht began to focus on the element of water and innovative ways of utilizing it. Consequently, the company engaged with the Meiré und Meiré communications agency to help Dorn-Bracht embark on an artistic cultural campaign to revolutionize the use of water. Simultaneously, the company has developed product series such as Ambience Tuning Technique (ATT) to achieve this goal. Duravit’s long and impressive history started nearly two centuries ago, in 1817, when Georg Friedrich Horn established an earthenware manufacturing plant in the Black Forest. At first, it exclusively focused on the production of crockery. Twenty-five years later, Horn expanded his line of products to include chamber pots; however, it was not until the late 1950’s and early 1960’s that Duravit became known for its sanitary products. Several decades before, in 1912, the company had stopped production of earthenware crockery, and in 1956, it replaced production of earthenware altogether with porcelain. It continued its new tradition of generating sanitary products by starting to manufacture bathroom furniture and accessories in 1977 and 1982, respectively. In the past thirty years, Duravit has launched a number of product series, including Giamo, Dellarco, Caro, Philippe Starch Edition 2, and Giorno, to name a few. During the past few decades, it has also acquired a number of companies and subsidiaries, such as the Alsatian Céramique de Bischwiller, the Egyptian MISR TECH, Duravit Turkey, and the Tunisian Manufacture Tunisienne des Céramiques. In 1988, Duravit went from being a GmbH to a limited company, Duravit AG. Today, Duravit takes great pride in its tradition of innovation and its evolution into a worldwide organization that boasts over 5,000 employees. It also holds a strong sense of environmental responsibility. Duravit history by Christine Valzovano. Eljer, Inc. has a proud history that spans over a century. It was founded in 1904 by two cousins in Oakland, California. 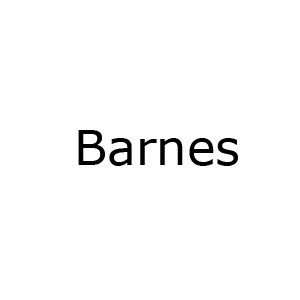 The cousins, Raymond Elmer Crane and Oscar Jerome Backus, took the first two or three letters of their middle names to create the title of their company. 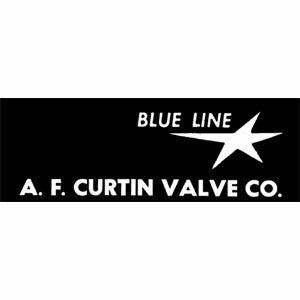 Originally established as a manufacturer of flush valves, their business quickly moved to Newark, New Jersey, where it produced diaphragm shaped flush valves that met with minimal success. Circumstances took a positive turn for the cousins in 1907, when they purchased an old dinnerware plant in Cameron, West Virginia, and converted it to a sanitary-ware factory. Work started in this plant modestly with the production of the washout closet bowl—and nothing else. Nevertheless, it was this plant that saw the world’s first vitreous china tank. Before this display of ingenuity, toilet tanks were lined with copper. The company grew, and in 1908 Eljer had finished building a cast iron manufacturing facility in Salem, Ohio. Ten years later, Eljer bought a dinnerware pottery plant in Ford City, Pennsylvania, a move that proved outstanding for business; Ford City hosted a wealth of raw materials, such as fuel and natural gas. The nearby railroad and Allegheny River also offered convenient transportation to carry out business effectively. The pottery plant additionally helped extend the production and distribution of Eljer’s vitreous china. By 1929, production at Ford City had grown so much that the plant in Cameron was no longer needed. What was more, the two tunnel kilns in the Ford City facility were among the longest in the world. Meanwhile, the foundry in Salem was growing, as well, despite the back-breaking manual labor required to file and chisel the castings. In 1914, investors purchased a majority of the foundry’s stocks and called it the National Sanitary Company. It continued to expand, but was destroyed by fire in 1928. A year later, Eljer purchased the majority of the Salem facility’s stock and it became Eljer Plumbingware Enamel Division. At this time, the plant was rebuilt with new equipment. During World War II, the facility was used to help the U.S. Government with the war effort by producing aerial bombs, castings for diesel engines, plumbing fixtures for war housing, and fabricated heavy machinery. After the war, Eljer began an expansion on the foundry worth $2.5 million. Decades later, Eljer experienced some difficulties. Between 1982 and 1986, Eljer manufactured and sold the Qest polybutylene plumbing system, which eventually corroded and provoked flooding in many homes. Consequently, thousands of lawsuits were filed against the company, permanently damaging its reputation. The company filed for Chapter 11 in 1994, and suffered debt and financial losses in the ensuing years. Furthermore, the lawsuits deterred Jacuzzi from acquiring Eljer in 1991. Five years later, Zurn Industries, a supplier of plumbing fixtures, acquired Eljer, an act that proved beneficial to both companies. In 1998, Jacuzzi acquired Zurn Industries and, with inadvertent irony, Eljer, in order to sell more bathtub and plumbing products. In 2005, Jacuzzi sold Eljer to Sun Capital Partners, a Boca Raton-based private investment firm, after a 12% drop in sales for the fiscal year of 2004. The drop included the closing of the Salem foundry and the downsizing of the Ford City facility. In February of 2008, Eljer merged with Crane Plumbing and American Standard to form American Standard Brands. Eljer operates under these circumstances today and, thankfully, flourishes once again. It is still one of the most famous brand names in the plumbing industry, selling vitreous china, enameled cast iron and acrylic quality plumbing supplies. Geberit is the leader of the European market in sanitary technology. It is also a highly globalized organization with establishments in 41 countries. In 2010 it was deemed Switzerland’s most ecologically sustainable company. In that vein, Geberit is a business that devotes itself to producing sanitary products and piping systems that are ground-breaking, lasting and ecologically friendly. 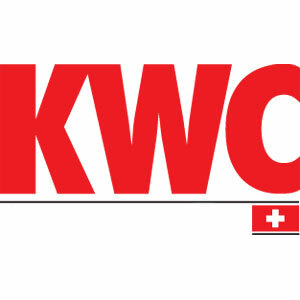 The company began when Caspar Melchior Albert Gebert opened a plumbing business in 1874 in Gallenkappel, Switzerland. His business expanded as he purchased more property, and in 1897 his sons and successors to the business, Albert Emil and Leo, decided to open a factory, foundry, tool-making shop, turning shop and a workshop devoted to surface treatment across the area. Eight years later, Albert Emil created the product that would serve as the foundation for the company’s future: the first lead-lined wooden cistern with lead fittings. It was produced under the name “Phoenix,” and was patented in 1912. In 1917, the various workshops across the area began to be consolidated into one large factory for convenience’s sake. Around this time, Geberit sold odor traps, shut-off valves, lead-lined cisterns and ballcocks. Foreign expansion started in 1929 with the opening of a retail depot in Paris. Six years later, Geberit began producing plastic cistern components and pipes, which were resistant to corrosion and subsequent flooding. After facing the staggering problems of worldwide economic depression, World War II, and its aftermath, Geberit produced the first plastic cistern in 1952, an innovation that caused a major rise in the business. In 1953, Geberit became a registered trademark. 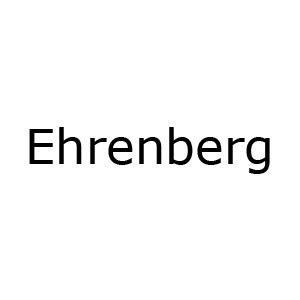 At this time, the company came under the entrepreneurial leadership of Albert Emil’s sons, Heinrich and Klaus, who helped make Geberit into the international corporation it is today, conducting business in Germany, Austria, the Netherlands, Denmark and Italy. In 1976, the company established a subsidiary, Geberit Manufacturing Inc., in Michigan City, Indiana. Around this time, Geberit introduced installation systems and shower toilets, the latter of which combined the features of a toilet, bidet and air-dryer. Today, they are featured at elegant hotels across Europe, and are ecologically friendly because they eliminate the need for toilet paper. Geberit’s ecologically friendly initiative continued in 1989 when the company began to manufacture fresh water supply systems. In 1990, it established an environmental strategy. Four years later, it began to conduct business in China. In 1997, the family shareholders sold the organization to the British investment company, Doughty Hanson & Company. A year later, it was listed on the stock exchange, and went public the year after that. 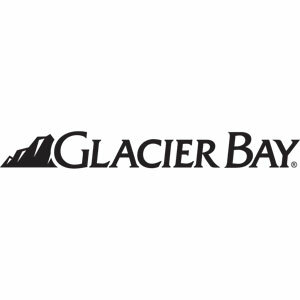 It further expanded its market in America when it acquired all shares of the Chicago Faucet Company of Illinois and WC Technology Corporation of Farmington Hills, Michigan, in 2002. That same year, Geberit introduced its business to Australia. Two years later, it acquired the German company, Mapress Holding GmbH, the leading provider in high-quality metal press fitting pipe and drainage solutions of stainless steel, carbon steel and copper. This helped Geberit expand its horizons in the markets of water supply, heating, drainage, fire sprinkler systems and the like. In 2005, it introduced the innovative Powerflush technology, which proved sustainable by using higher pressure to rinse toilet bowls without the use of electricity. Geberit has continued to expand, operating business in Qatar, Mexico, Saudi Arabia and South Africa. It provided the plumbing supplies for this last country’s five new soccer stadiums for the FIFA 2010 World Cup, and is supplying the main stadium for the London Olympic Games of 2012. Interestingly enough, it has also installed its plumbing fixtures in the “Princess-Elisabeth-Station” in Antarctica. With business on almost every continent, Geberit is truly a global powerhouse. Furthermore, it is devoted to green initiatives by working with a variety of programs, including “I love Water” and the UN Global Compact. In 2007, Gerber Plumbing Fixtures celebrated seventy-five years of excellence in the plumbing industry. Max Gerber, a Polish immigrant, established the Chicago-based business in 1932, and sold a variety of plumbing fixtures. Throughout the years, it became one of the leading manufacturers of vitreous china plumbing fixtures, faucets, fittings and bathroom suites for the commercial, hospitality and residential fields. When Max Gerber passed away in 1953, his son Oscar, son-in-law Maurice Lewis, and his daughter Harriet assumed leadership of the company together. Under their hands, Gerber became the leading brand that it is today; sales increased tenfold over the next three decades. Harriet especially played a large role in the company’s management, and eventually became the only woman to be inducted into the National Plumbing Hall of Fame. As of 1997, she and her two daughters, Ila Lewis and Nancy Lewis Pollack, held complete ownership of the company. Sadly, Oscar passed away in 1983 and Harriet, in 2001. Two years later, Global Union, Inc., one of the world’s largest manufacturers of plumbing products, acquired total ownership of Gerber. Nonetheless, Ila Lewis and her sister maintain an active role in the company; in 2004, Ila, the chairwoman of the board, received the AIM/R Golden Eagle Award for the company’s excellence in sales and customer service. What’s more, Global Union has helped Gerber further such excellent standards. In addition to being a leading manufacturer of plumbing fixtures, Gerber also plays a huge role in resource conservation. The company is a proud member of the U.S. Green Building Council and is a partner in the U.S. Environmental Protection Agency WaterSense Program. Thus, it conducts business with efficiency, quality customer service and respect for the environment. The history of GROHE spans back to 1911, when a ferric hardware company called Berhenhoff & Paschedag was established in Hemer, Germany. A quarter of a century later, Friedrich Grohe acquired this company, and it began to exclusively produce sanitary faucets. Though bathrooms were merely thought of as functional during the Great Depression, Grohe believed that they could be so much more. In keeping with that philosophy, he manufactured high-end, luxurious faucets. With little difficulty, Grohe expanded his business to include the Netherlands, Finland and the Balkans. Although the rationing of World War II temporarily sabotaged Grohe’s vision of luxurious bathrooms, the postwar boom ensured its growth. 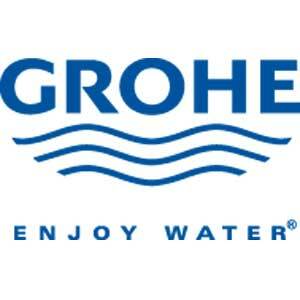 Subsequently, the company was named GROHE after its owner. The dream of luxurious bathrooms was gradually realized with the advent of readily available hot water. GROHE took advantage of this by acquiring Carl Nestler in 1956, a thermostat manufacturer that became the subsidiary, GROHE Thermostat GmbH. In the ensuing decade, GROHE continued to expand with its first foreign subsidiary in France which preceded subsequent subsidiaries in Austria, Italy, the United Kingdom, the United States, Holland and Belgium. During this time, Friedrich Grohe sold a fifty-one percent stake to the United States’ International Telephone & Telegraph (ITT). In 1984, one year after Friedrich Grohe’s death, his heirs purchased back this stake. Two years before that, a new plant opened for production in Hemer-Edelburg, and several years later, a paint production factory opened in Lahr. Simultaneously, GROHE’s Canadian subsidiary was founded. As bathrooms tended towards ecological friendliness in the 90’s, GROHE became a public company called Friedrich Grohe AG. This move ensured its success with a variety of mergers and acquisitions, such as the merger with Dal/Rost group and the purchase of a fifty percent interest in GROME Marketing Cyprus Ltd. Foreign subsidiaries continued to be opened, though an investment firm, BC Partners acquired GROHE in 1999. A year later, it was attained by a consortium of investors. In recent years, it has won wide acclaim and numerous awards for its ingenious design. Before he was a bathroom mogul, Hans Grohe was a German weaver. With the intention of advancing his first profession, he moved to Schiltach, a town on the outskirts of the Black Forest, in 1899. Two years later, he opened a metal pressing workshop, neglecting his first calling for the sanitation industry. He was passionate about water, and so he devoted his metal-working efforts to the production of tin showers. At the turn of the twentieth century, this was a risky endeavor, for private bathrooms were hard to come by. Nonetheless, Grohe’s eccentric ingenuity paid off; his small company eventually grew into a global corporation with employees on every continent. In 1928, he created the handshower, which became a competitive and convenient alternative to the overhead shower. This invention sealed Grohe’s fate as a leader in the German sanitation industry and the global shower business. Even at the age of eighty-two he was making strides in the shower industry; at that age he invented the Unica wallbar to support the handshower at the user’s chosen height. In 1968, thirteen years after Hans Grohe’s death, his youngest son Klaus assumed the mantle of the company. While his father was the expert on showers, Klaus is an authority on sustainability and environmental protection in the sanitation industry. HansGrohe AG prides itself on the active roles its founders’ descendants continue to play in the business. Furthermore, it has unerringly continued its tradition of innovation with colored showerheads in the ‘70’s and ‘80’s, pre-installed shower systems in the ‘90’s, Raindance showers and EcoSmart showers and faucets and in the 2000’s, to name a few products. In February of 2003, Masco Corporation acquired a majority of the company’s shares. Nonetheless, Hansgrohe continues its tradition of innovation and efficiency. INAX Corporation is a Japanese manufacturer of housing products, ceramic tiles and sanitary ware. The business began with the work of the famous American architect Frank Lloyd Wright, when he arrived in Tokyo to design the Imperial Hotel in 1924. INAX grew from the facility used to produce the Japanese tiles that comprised the floors and walls of the hotel. Since that time, it has become Japan’s top maker of terracotta and ceramic tiles. Furthermore, it has become known for its quality sanitary ware. In the past few decades, INAX has provided its products and services to a variety of architectural projects, inculcating traditional Japanese elegance into its works. It prides itself on its spirit of monozukuri, or the art of making things. What’s more, it treasures the past by devoting its efforts to restoring historically significant structures and to opening the INAX Tile Museum. Over the years INAX has expanded its production to include China and the United States. In 2001, it established a joint holding company with Tostem Corporation, another Japanese housing materials manufacturer, in the hopes of bolstering profits. The new firm was dubbed Tostem Inax Holding Corporation. Ten years later, these two companies merged with Sun Wave, Shin Nikkei and Toyo Exterior, three other housing materials companies, under their parent company, JS Group. Consequently, it is now known as LIXIL Corporation. Though its name has changed, its devotion to monozukuri and quality has not. 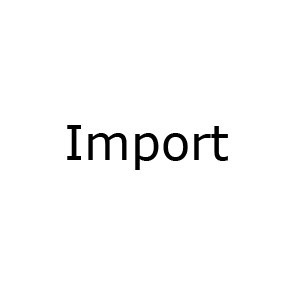 Imports are considered parts and fixtures that have been manufactured overseas and are subsequently sent to North America. They are from various unidentified manufacturers based in other continents. In other words, these are parts that are marketed in North America, but are not associated with a particular manufacturer. That said we will be more than happy to help you find the particular imported part that you are looking for. Though the Jacuzzi brothers didn’t invent hydrotherapy, they certainly revolutionized the term. Hydrotherapy dates all the way back to ancient Rome, where its occupants could choose from over 900 public baths. Centuries later, the Jacuzzi brothers worked to improve the water pumping system because of a business venture concerned with the growth of oranges. In 1925, they developed a new type of pump that was so much more effective than any of its predecessors, people doubted its authenticity. Luckily, the new pump claimed a Gold Medal Award at the California State Fair in 1930, and the product became a success, hurtling the Jacuzzi name towards outdoor hot tubs and whirlpool bathtubs. A relative’s illness further ensured this move towards bathing and hydrotherapy products; the Jacuzzi brothers manufactured the J-300, a portable hydrotherapy pump, in 1956. Twelve years later, Roy Jacuzzi, a descendant of the brothers, expanded upon the J-300 by using the portable hydrotherapy pump to create the first integrated whirlpool bathtub. He called it the Roman, and it employed jets that generated a 50/50 air to water ratio. This whirlpool bathtub provided a luxurious hydrotherapy experience that solidified Jacuzzi’s niche in the market. The Jacuzzi name grew again in 1970 when it produced the first hot tub, which ensured that spa treatments could be enjoyed with friends and family. In 1979, a New York construction company called Kidde bought Jacuzzi. The founder, Walter Kidde, acquired a large number of other companies until his whole conglomerate was acquired by a UK-based organization, Hanson, in 1987. Eight years later, Hanson created a subsidiary company that held thirty-four of its American businesses, including Jacuzzi. The shareholders took possession of this company, called U.S. Industries, Inc., or USI. Over the years, USI acquired a number of other companies, including Zurn and Eljer, two other well-known manufacturers of bathroom fixtures. Despite a number of high-power acquisitions, USI suffered from severe debt in 2000, and began selling its companies, including Eljer in 2005. 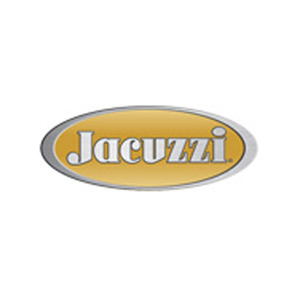 In 2003, USI changed its name to Jacuzzi Brands, Inc. Four years later, Apollo Management took over Jacuzzi, and made it into a private company. Nevertheless, Jacuzzi continues to adjust its products according to customer needs. For instance, it has followed the rising fitness trend by introducing new configurations to its spa products. Furthermore, it now produces a variety of other bathroom fixtures, including toilets, sinks, showers, shower enclosures, and a variety of accessories. It is truly an innovative company. Bibliography available to members upon request. Jacuzzi history by Christine Valzovano. Our history begins in 1873, with the first of many bold business moves. Despite a climate of financial panic and the start of a five-year economic depression, 29-year-old Austrian immigrant John Michael Kohler purchased the Sheboygan Union Iron and Steel Foundry. The firm got its successful start producing cast iron and steel implements for farmers, castings for the city's furniture factories, and ornamental iron pieces that included cemetery crosses, urns and settees. A key turning point came in 1883 when John Michael seized upon another bold idea to improve his customers' quality of life. By applying baked enamel coating to a Kohler horse trough/hog scalder, he had created the Kohler Co.'s first bathtub. Kohler was in the plumbing business. Like John Michael, many of the early employees were immigrants. Steeped in a heritage of European craftsmanship, they were eager to achieve success in their new country. Their dedication to excellence helped to forge one of the oldest and largest privately-held companies in the United States. 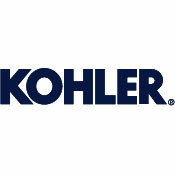 *Kohler is currently updated on this site from 1930 to the 1/13/2007 price book. Kohler tank numbers are usually clearly marked on the back wall by the water line of the tank. On one piece toilets the number is the model number of the toilet. On two piece bowls the number is the tank number for the combination. Originally Kohler tank cover numbers were four digits, beginning with a 4 or 6. Recently they changed to a 5 or 6 digit number beginning with 8. These numbers are usually clearly marked on the inside of the tank lid. All these numbers are searchable via the advanced product search on the member side of the site. This will lead you to all the replacement part information, roughing sheets, catalog cuts and color matrices. Mansfield Plumbing Products is very proud to be one of America’s largest domestic manufacturers of sanitary ware. It takes great care to ensure the quality of its products, from vitreous china toilets to acrylic bathtubs and shower bases. It was founded in 1929, and seventy-five years later, it was purchased by the the world’s largest manufacturer of china, the Colombian Corona. Nonetheless, Mansfield continues to operate in the United States; its corporate headquarters is based in Perrysville, Ohio. What’s more, its three manufacturing plants are located in Perrysville, Big Prairie, Ohio, and Henderson, Texas. Each plant employs the automated Kiln Tracker to ensure efficiency of production and quality of the end products. The story of this company started in 1937 with Al Moen’s dissatisfaction with the traditional two handle faucet. After working a long night at a garage in Seattle, Al Moen experienced great frustration when he turned on his workplace’s faucet and found a shock of hot water flowing over his hands. As an ingenious college student, Moen began to contemplate a design for a sink that would prevent such accidents. His ruminations eventually led him to the single handle faucet. After a decade of planning, Moen sold his idea to Ravenna Metal Products of Seattle, which subsequently made his dream a reality. A San Francisco plumbing supplier bought Moen’s first 250 faucets for twelve dollars apiece, making a path for his product’s success and renown. In 1956 Standard Screw acquired Ravenna, later becoming Stanadyne, Inc.
Several years after establishing a partnership with Stanadyne, Moen was featured in FORTUNE magazine’s survey of the world’s leading designers. In fact, the magazine hailed the Moen single handle faucet as one of the best designed mass-produced products of the time. Moen continued to show its success with the acquisition of Ziegler Harris, a stainless steel sink manufacturer, in 1975. 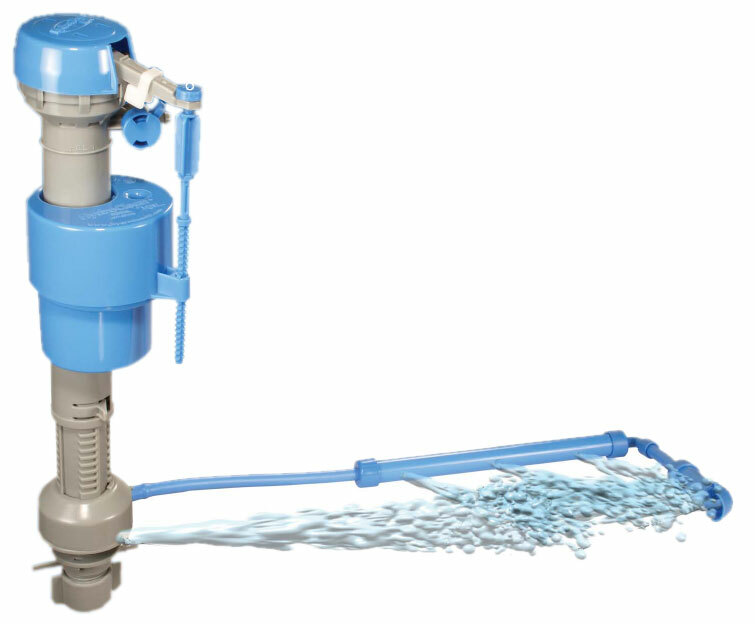 When Al Moen retired in 1982 he held over seventy-five patents and had invented such ingenious things as the screen aerator, the push-button shower valve diverter, pressure balancing shower valves, the swivel spray, and the flow control aerator. He was eventually nominated for the National Inventors Hall of Fame and inducted into the Kitchen & Bath Hall of Fame. Six years after his retirement, Forstmann-Little & Company acquired Stanadyne, Inc., leaving Moen as an independent company. Consequently, it was renamed Moen Incorporated. Two years later, MasterBrand Industries, Inc., an operating company of American Brands, acquired the business. In 1997 American Brands was acquired by Fortune Brands, which declared its Home & Security department a separate operating company in 2011. Moen is currently the largest company in the newly founded Fortune Brands Home & Security. What’s more, it continues to produce ingenious and quality products and to receive accolades; in 2010, the EPA named it the WaterSense Manufacturer Partner of the Year because of its affiliation with and promotion of WaterSense products. Kenneth True Norris, Sr. founded Norris Industries in Los Angeles, California, after his employing company refused to give him a share of the profits that he had earned. When he opened this company with his wife Eileen in 1930, he called it the Norris Stamping and Manufacturing Company. Its first job was producing parts for Ford Model A bumpers. By 1937, the company had attracted enough notice to earn a state contract to manufacture license plates. A year later, it received a military contract to build bombs. Despite the many difficulties that this project posed, Norris succeeded and gained a million-dollar contract from the Navy. In 1940, Norris incorporated his company so that he could share the profits with his employees and appropriately divide the management power and responsibilities. For its excellence in manufacturing ordnance products, Norris was the only company to received E Awards from both the Army and the Navy. Nonetheless, after World War II, production decreased, and in turn, so did profits. 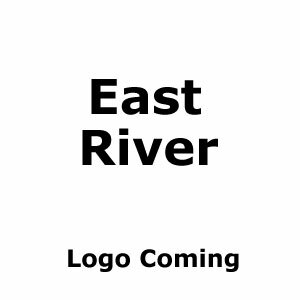 So, the company sought other business ventures. In 1947, it started producing plumbing fixtures, specifically porcelainized enameled pressed steel kitchen sinks and bathtubs. These items were sold under the Norrisware label and the Sears, Roebuck & Co. label. It also made car wheels, steel gas cylinders and other steel products. Three years later, in 1950, it acquired Thermador Electrical Manufacturing Company, one of the best electric manufacturers in the west at the time. Among other things, it was the first company to create a successful electric water heater. In that same year, it also acquired Compressed Gas Cylinders, Inc., and went public. Because Norris was a relatively unknown name to the public and Thermador was quite famous, the company decided to call itself Norris-Thermador Corporation in 1951. The company grew and flourished in the ensuing years, acquiring more companies and more work due to the Korean War. As a result of this event, Norris-Thermador was granted another military contract, this time to build missiles. 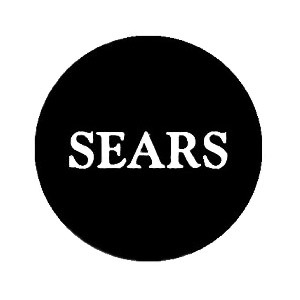 As a result, the company reorganized into four separate divisions in 1957: Norris; Walnut, which produced vitreous china and aircraft parts; Thermador; and Electronics. Three years later, the company’s stock was listed on the New York Stock Exchange. In 1961, it acquired U.S. Porcelain Enamel Company, a manufacturer of mobile home plumbing products, among other things. With the increased demand of weapons due to the conflict in Vietnam, Norris continued to prosper, and it reorganized again, this time into ten independently operating divisions, in 1964. Two or three years later, the company’s name was changed to Norris Industries, and Norris’ son Ken, Jr. was elected president of the business. 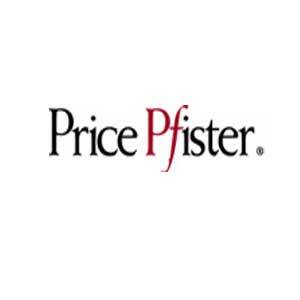 It then acquired Price Pfister and Artistic Brass in 1970 and 1972, respectively. By 1972, Norris Industries was a leading manufacturer in the USA and the largest plumbingware producer on the west coast. What’s more, the Norris family members were celebrated philanthropists who funded and donated to a number of charities, including the Norris cancer center. 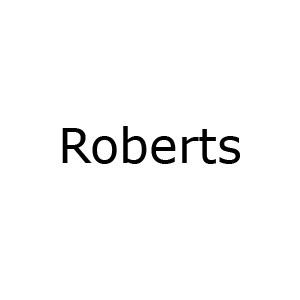 Unfortunately, the company declined after Ken T. Norris, Sr.’s death in 1972, and in 1981, a year after Ken, Jr.’s retirement, a private New York investment firm, Kohlberg, Kravis, Roberts & Company, arranged a private buy-out for the company’s public shareholders. 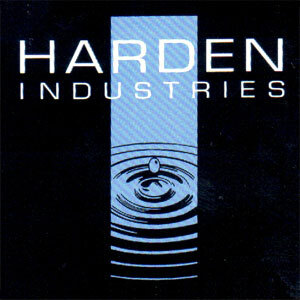 A year or so later, it was renamed NI Industries, Inc. In 1985, the Masco Corporation acquired it, and renamed it Nimas Corporation for a time. In 1990, Mansfield Plumbing acquired the plumbing division of NI Industries in Walnut, California, according to our research. Today, it remains a part of this company, while Norris Cylinder, a division established in 1981, and NI Industries, Inc. are a part of Trimas Corporation, a subsidiary of Masco. Norris Industries history written by Christine Valzovano. Paini SpA Rubinetterie was founded as a very tiny craft company in 1954. Over the years it has grown to be a top faucet manufacturer. When it became a joint-stock company in 1972 it built a technologically up-to-date factory next to its predecessor. In 2006, Mirko Bosio, one of Paini’s inventors, patented his ornamental design for a tap in the United States. Currently, the business employs nearly four hundred employees and boasts the use of only the best raw materials. Its headquarters is located in Pogno, Italy. Peerless is a trusted brand name backed by Delta Faucet Company which, in turn, is owned by the Masco Corporation. Delta developed Peerless in 1971 to appeal to the burgeoning do-it-yourself market. This brand offers quality faucets at affordable prices. Furthermore, they are easy to install with the help of the included step-by-step instructions and the promise of accommodating customer support via telephone and Internet. The faucets are available in a variety of finishes and styles that will brighten any home. They can be purchased at selected hardware stores, including Lowe’s. 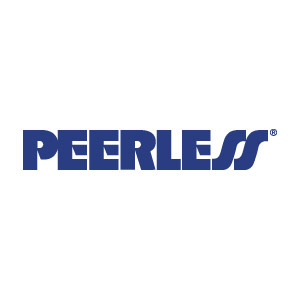 Today, Peerless is considered America’s leading manufacturer of do-it-yourself faucets. Its most recent products are the easiest to install yet. At the beginning of the nineteenth century, Michael Helfrich acquired a tract of land in southwestern Indiana, nearly one mile from the Ohio River. At the time, water closet tanks and seats were made of wood, and his newly owned land was rich in such resources. Because the remaining parts of toilets were comprised of china, Helfrich began to manufacture pottery with his associate Harry Weaver in 1902. They called the company the National Helfrich Pottery. Two decades later, the company’s name changed to the Peerless Selling Company and produced the first closed couple water closet. It was called the Silent Knight and had a silent elevated compound ballcock, heavy vitreous china, and a toilet seat made of walnut or oak that promised not to afflict the user with splinters. When Helfrich passed away in 1941, Weaver, his son and several investors restructured the company and changed its title to Peerless Pottery, Inc. By the beginning of the current century, Peerless’ highly skilled employees manufactured vitreous china at the facility in Spencer County, Indiana. There, clay was converted into the vitreous china in which Peerless took so much pride. In October of 2004, it was forced to close its plant, and subsequently sold its name and molds to Processador de Ceramica, a company based in Mexico. Its products are now manufactured in this country under the name of Peerless Pottery. 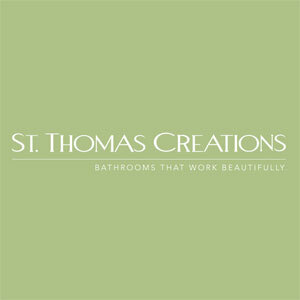 St. Thomas Creations grew from modest origins to become one of the leading manufacturers of decorative, high quality toilets and harmonizing plumbing fixtures. When the company began in 1987, it was an organization comprised of only two people. Eventually, it became a fully operational boutique factory that produced hand-painted toilets and sinks. After gaining renown for its elegant products, Grupo Industrial Saltillo (GIS), one of Mexico’s leading industrial companies, acquired St. Thomas Creations in 1994. This helped St. Thomas become a more powerful presence in the plumbing industry. Home owners and home improvement professionals, including designers and builders, choose St. Thomas for the reliability and unique elegance of its award-winning products. Furthermore, the business is widely favored for its coordinating bathroom suites and its recent green initiative with the introduction of the 1.6-gallon water closet. In March of 2006, Villeroy & Boch, a prestigious German ceramics company, purchased St. Thomas Creations from GIS. Regardless, St. Thomas Creations continues to produce the elegant plumbing fixtures that make it so famous. Speakman Company was one of the first businesses to manufacture water bearing safety equipment over fifty years ago. Furthermore, it ushered in shower systems as we know them today over seventy-five years ago. Allen and Joseph Speakman founded the business in Wilmington, Delaware in 1869 as the Speakman Supply and Pipe Company. The organization has remained in the hands of the family ever since. Originally, it was a modest shop for plumbing fixtures and steam fitting supplies. 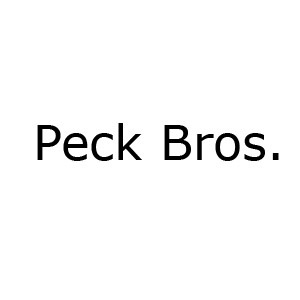 After experiencing great frustration over the lack of locally available plumbing supplies, however, the two brothers decided to enter the wholesale plumbing supply industry. And so, in 1889 their company simply became known as the Speakman Company. Despite two world wars, the company expanded and flourished. Around this time, it joined the safety equipment field with its emergency shower for industrial plants. 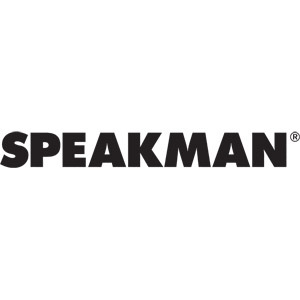 Thus, the business continued to grow, and in 2001, the company formed three Speakman Autonomous Business Units for Plumbing Solutions, which provides the commercial market with drinking and metering faucets and showers; Safety Equipment, which distributes eyewash products and showers; and Shower Products, which supplies showers and accessories to hotel and commercial markets. In 2003, Speakman Company’s headquarters were moved to New Castle, Delaware. Today, the business is praised for its electronic faucets and high quality fittings. Speakman faucets are a trusted product with a reputation for sturdiness and efficiency. Sterling Plumbing was originally established as the Sterling Faucet Company in Philadelphia in 1907. It achieved success as an independent manufacturer of faucets and brassware. In 1969, Rockwell International acquired the business and subsequently began to refer to it as its Building Components Division. Unfortunately, the company fared poorly under Rockwell’s supervision, and in 1978, William W. Boyd and David C. Wright bought it and renamed it Sterling Faucet. Thanks to Boyd and Wright, Sterling flourished as it had done before its acquisition by Rockwell. Six years later, Kohler acquired Sterling, but maintained Boyd as the CEO. This was the first of Kohler’s many successful company purchases. Under Kohler, the business became known as Sterling Plumbing. Today, it is one of the most trusted providers of faucets. Symmons Industries was born in Boston in 1938 with Paul C. Symmons’ ingenious invention: a shower valve that controlled potentially dangerous temperature fluctuations. Because it was fashioned of solid brass, stainless steel and bronze, its construction has remained popular and unchanged since the 1940’s. The efficient design of Symmons’ valve and his other products did not go unnoticed. In World War II, the United States Navy used his company’s parts to build its torpedoes. The business was so successful in this endeavor, that it was given an award for excellence and several contracts with the government to make shower valves for military barracks. After all of this success, Symmons Industries relocated to a larger facility in South Boston in 1956. In the ensuing ten years the business grew exponentially, manufacturing a variety of different showers and shower parts of high quality. The new plumbing codes and the wider availability of mass production technology enabled Symmons to further flourish in the next three decades. Eventually, it moved to its present headquarters in Braintree. From 1993 to 2010, Paul Symmons’ son-in-law, Bill O’Keefe took control of the company, and it prospered under his management. Currently, Bill’s son Tim runs the company which takes great pride in being a trusted family-run organization. In 1947, George I. Theisen founded T&S Brass and Bronze Works, Inc. in South Carolina. He served as president and CEO of the company until his retirement in 1992. Originally, the company exclusively manufactured foodservice plumbing equipment. It created the first pre-rinse unit and subsequently set the standard for this particular industry. Three years later, T&S developed and sold a full line of foodservice plumbing products, thus becoming the leader in this trade. In the ensuing decades, T&S Brass expanded into various markets, including laboratory equipment, industrial faucets and commercial plumbing fixtures. In the nineties, T&S further expanded its business by exporting to or building facilities in Canada, Europe, Asia, South America and the Middle East. The company attributes its success to its devoted customer service department. Recently, another distribution facility was set up in the United States, in addition to the one in Travelers Rest, South Carolina. This one is in Simi Valley, California. Today, T&S continues to be a top provider of faucets, fittings, and specialty products and accessories for various markets, including foodservice, industrial, commercial plumbing and laboratory equipment. T&S Brass history by Christine Valzovano. TOTO continues to marry form, function and design with the introduction of the “Soirée™” bathroom suite and the Double Cyclone™ flushing system. TOTO completes the rigorous process necessary to receive ISO 9001 certification. This ensures that TOTO will consistently deliver the highest quality products and service. TOTO introduces of the “Lloyd™" bathroom suite. The Neorest 500, a compact version of the extremely popular Neorest 600, is introduced. The upscale Neorest Store opens in Wellington, Florida. TOTO takes the leap and introduces a full line of bathroom suites, faucets, accessories and luxurious Air Bath products. In doing so, TOTO quickly moves from being “that toilet company” to a respected player among the country’s top kitchen and bath product companies with the introduction of the “Clayton™,” “Mercer™” and “Nexus™” bathroom suites. TOTO introduces the environmentally-conscious, power-saving EcoPower products. The Neorest 600, a totally automated toilet, and the Washlet E200 premiere to rave reviews. TOTO introduces a self-generating Hydro-Powered Sensor Faucet, that displays our continued commitment to water—and energy—conservation. TOTO USA introduces SanaGloss super smooth, ion barrier glazing and the Chloe Washlet. TOTO introduces G-Max and UniFit Rough-in technology, continues to expand the sales force, and opens a third satellite office in New York City. TOTO launches a new residential one piece toilet line and a multi-million dollar consumer ad campaign. Sales force triples. Two new products, the Ultimate (CST854) and Carusoe (CST713), are awarded Consumer’s Digest “Best Buy” awards. TOTO establishes TOTO Morrow, an advanced pressure-casting plant in Georgia. TOTO USA, INC. relocates corporate headquarters to Atlanta, Georgia. TOTO USA introduces Zoë Washlet. TOTO (China) Co. LTD. is established as a regional headquarters to coordinate sales and manufacturing activation in China. Beijing TOTO Co., LTD., a joint water company, is established in China. Establishes TOTO Industries-Lakewood subsidiary in Georgia. TOTO opens R & D Center at the Chigasaki Plant. TOTO establishes TOTO KIKI USA, INC., sales subsidiary. TOTO Ltd. Introduces 1.6 gpf toilet & sensor-operated faucets and valves. 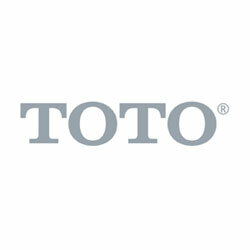 TOTO acquires a share in Bulthaup GmbH & Co. Awarded the Demming prize for total quality control. TOTO's largest showroom, "TOTO Super Space" is opened in Tokyo. The Taiwan TOTO Co. Ltd. – Taiwan joint venture is established. TOTO establishes joint ventures; Kelim TOTO Co., Ltd. in Korea and The Siam Sanitary Fittings Co., Ltd. in Thailand. TOTO acquires a share in Siam Sanitaryware Co. Ltd. in Thailand. TOTO establishes first overseas showroom in Hong Kong. Acquires a share in Allia S. A., a leading French sanitary-ware manufacturer. The Royal TOTO Metal Co. Ltd. in Korea joint venture is established. The P. T. Surya TOTO in Indonesia joint venture is established. The TOTO Ginza Pavilion showroom is constructed in Tokyo. TOTO builds Japan's first "tunnel kiln"
2006 Bowls are on the site but only with limited part information. Flushometer part sheets are not available on the site yet. Washlets part sheets are not available on the site yet. Toto does not use item numbers in their product they use casting numbers. On this site with the casting number you can easily search for your bowl as a member. The following are searching tips broken down by category. The casting number will be located on the inside back wall of the tank. 1-Piece bowl casting numbers start with “CST” followed by a 3 digit number and sometimes a letter after the number. If there is not a number in the tank please read the tank cover tips below. The casting number will be located on the inside back wall of the tank. 2-Piece bowl casting numbers start with “ST” followed by a 3 digit number and sometimes a letter after the number. If there is not a number in the tank please read the tank cover tips below. Toto tank covers typically do not have casting numbers stamped on the underside of the tank cover. If there is a number stamped on the underside of the tank cover it will be the tank casting number. The reason the tank cover has the tank casting number and not the tank is because of the shape of the tank. During the manufacturing of the tank do to its shape Toto is not able to imprint a legible casting number. Villeroy & Boch has a long and impressive history that all began with Francois Boch, a royal cannon founder from Lorraine, in 1748. After giving up the cannon trade, he and his three sons looked to the manufacturing of ceramic crockery. Over the next two decades, Boch’s company rose to prominence, particularly in Luxembourg, where he received permission from the Austrian Empress Maria Theresa to build a manufactory. In 1770, four years after receiving such permission, the Boch Company produced its famous Alt Luxembourg series, which is currently on display in the Mettlach Ceramics Museum. Twenty-one years later, Nicolas Villeroy acquired an earthenware factory in Vaudrevange, or modern day Wallerfangen. Originally acquiring it with two partners, Villeroy gained exclusive ownership of the factory in 1797, and installed a number of innovative measures, including the utilization of the newfangled, cheaper copper printing process in 1815, and the utilization of coal as fuel. Meanwhile, the Boch family purchased a retired Benedictine abbey in Mettlach and converted it to a tableware factory that is still employed by Villeroy & Boch today. The family also introduced an insurance program for their company’s employees, a plan that was later imitated by Otto von Bismarck. In 1829, Jean-Francois Boch produced a sort of earthenware that was nearly identical to porcelain, but was much cheaper to manufacture, consequently giving people of lower means the opportunity to purchase porcelain-style goods. Seven years later, the separate companies of Villeroy and Boch formed a partnership in order to compete with other European economic powerhouses. In the remaining forty or so years of the nineteenth century, the merged company of Villeroy & Boch flourished by building and acquiring more factories; manufacturing more products, including tiles, glassware, and sanitaryware; exporting across Europe and to the Americas; improving terracotta so that it was more resistant to wear; and contributing to prestigious structures such as creating a floor mosaic for Cologne Cathedral. The initial foray into sanitaryware was of particular importance because of the company’s eventual prominence in this area, and because of the growing significance of hygiene products at the turn of the twentieth century. Despite the catastrophic aftermath of World War I, Villeroy & Boch’s success continued to grow. In 1920, they provided some of the tiles that comprise the Holland Tunnel that runs under the Hudson River. Furthermore, its crockery was particularly popular around this time, because it mimicked the Art Deco style associated with the twenties and thirties. Unfortunately, World War II caused great damage to a number of Villeroy & Boch’s factories. Nonetheless, it recuperated fairly quickly, and in 1955, it began to produce the papal crockery for Pius XII, a tradition that has continued since then. Four years later, Villeroy & Boch began to manufacture vitreous porcelain, which combined elegance with functionality. In the seventies, the company started exporting to Japan and increasing exportation to the USA. Meanwhile, various designers, including Helen von Boch and Luigi Colani, joined the company to improve the elegance of the manufactured products. Acquisitions were made, and a number of new innovations were put into place, including edgy advertising, “Mix and Match” crockery, and a partnership with popular designer, Paloma Picasso. Customer service became centralized and a main concern of the company as it was divided into three sections, Tiles, Sanitaryware, and Tableware/Crystal. 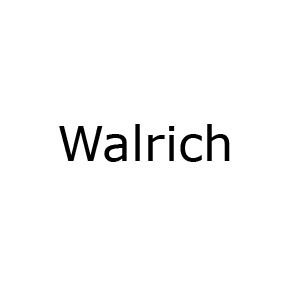 In 1987, Villeroy & Boch ceased to be a limited partnership, and became a public limited company. Nonetheless, the family continued to handle the capital. Three years later, it began to trade in the stock exchange, thus opening up capital markets. In the same year that the company celebrated its 250th anniversary, Wendelin von Boch, a descendant of the original founder, assumed the position of Management Board Chairman. He made Villeroy & Boch into a producer of various unique lifestyles, helping it to grow beyond the mere manufacture of ceramics. Furthermore, he focused heavily on internationalization and globalization by continuing the company’s habit of acquiring companies across the globe. In the next few years, Villeroy & Boch continued to expand and flourish. Even after 51% of its Fliesen GmbH assets were sold to the Turkish company, Eczacibasi, Villeroy & Boch continued to grow. Over the years, it has acquired a number of companies in Europe, Asia, Africa and the Middle East. Nonetheless, the global financial crisis caused Villeroy & Boch seek help from the international consulting and auditing company, Rödl & Partner, setting up a joint venture that promised consultancy service. Furthermore, the operation of company’s infrastructure was turned over to the firm. All the same, Villeroy & Boch is still a leader in the global ceramics and sanitaryware market. It is proud of its long history, and it continues to expand. What’s more, it has given back through a number of programs and charities for underprivileged and abandoned children. Villeroy & Boch history by Christine Valzovano. 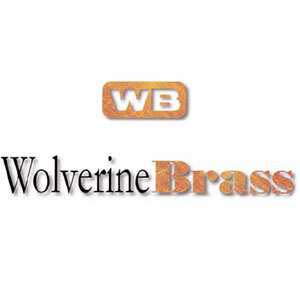 Wolverine Brass prides itself on its sales policy: selling directly from the factory to the plumber. The company has been devoted to this idea since its founding in Grand Rapids, Michigan , in 1896. L.A. Cornelius established the company inside a two-story wood-frame building where he produced small, generally hand-made brass fittings. Since the age of sixteen, Cornelius had been working in the plumbing industry. He stayed in this field as the head of Wolverine Brass until the age of seventy-eight. Though Wolverine is a highly innovative company today with three regional distribution centers in Conway, South Carolina, Oceanside, California, and Concordville, Pennsylvania, it continues its proud tradition of selling directly from the factory to the plumber. Customer support and satisfaction is one of the business’ main objectives. Its main factory is in Conway, and it manufactures thousands of different products, including faucets, ballcocks, toilet repair parts, drainage products, valves, sinks and lavatory supplies, and plumbing and heating supplies. 2004 marks Lavelle's 90th anniversary, in addition to being awarded WBE certification. 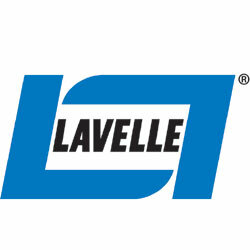 Founded in 1912, Lavelle Industries has become a leading manufacturer of rubber and plastic molded parts in the OEM and plumbing industries. 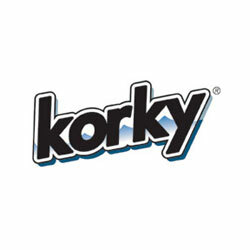 Lavelle Industries, Inc. is the proud manufacturer of the popular Korky® brand toilet repair products. Since 1954, Lavelle has been making the Original Korky Toilet Tank Flapper and improving on its classic design. Lavelle has extended their promise of quality and durability to other plumbing repair products including: replacement flush valves, faucet washers, grommets, and seals, as well as the most recent addition to the Korky line, the Korky QuietFill Toilet Tank Fill Valve. 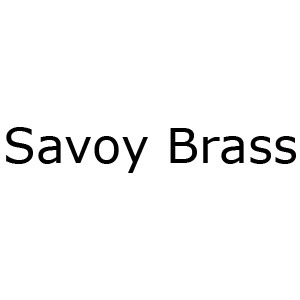 For over 87 years The Keeney Manufacturing Company has been manufacturing tubular brass products in Connecticut. 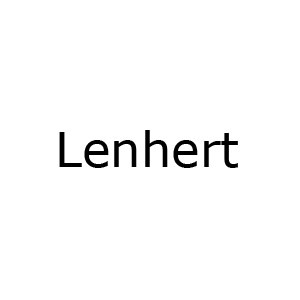 Founded in New Britain, CT in 1923 the Keeney family of products has grown from coin air valves, to brass and plastic under sink repair parts, to quarter turn valves, bath drains, toilet repair parts and many more. 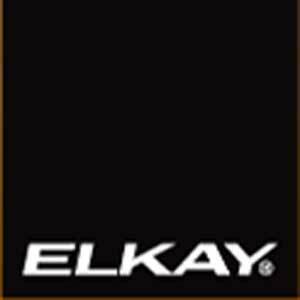 Continually praised as an industry leader in both the wholesale and retail markets, Keeney and Plumb Pak thrive on exceptionally high order fulfillment rates, breadth of available products and customer friendly merchandising. 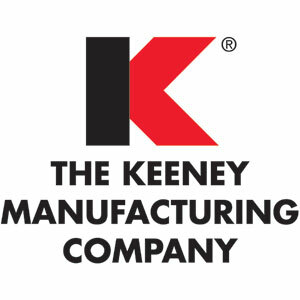 The Keeney Manufacturing Company is headquartered in Newington, CT and currently has facilities in four US states as well as Canada and China. Our lines of products can be found in retail locations and wholesale location in the United States and Canada. Quality. Craftsmanship. Innovation. These are the founding principles that have shaped the Bemis Manufacturing Company for generations. We manufacture the products that might be taken for granted, and we make them better, stronger, and more exciting every year! Because at Bemis, we have Higher Standards for Everyday Products™. Bemis Manufacturing has been in the family since 1901. Since then, we have quietly grown to become an innovative and diverse manufacturer serving multiple markets worldwide. Today, you will find Bemis® products in homes, office buildings, hospitals, schools-- and probably even in your own back yard. Because at Bemis, we are committed to our founding principles as we have ever been and that is what sets us up for future success! The Beneke Corporation began in 1893, in Chicago, as Findeisen-Kropf Manufacturing Company. In the early years the company manufactured bedroom furniture, chairs, pinball machines, and toilet seats. In 1918, Henry Beneke Sr. became a partner of the company and, within five years, purchased the holdings of Mr. Findeisen and Mr. Kropf to form Beneke Manufacturing Company. In 1939, a decision was made to move the company to Columbus, Mississippi in order to be closer to their primary wood source. Edward Beneke, son of Henry Beneke Sr., became President of the company in 1948. Under his leadership, in 1954, the Beneke Research & Development Division developed a process for molding wood seats out of sawdust and resin; thus, the “Tuffy” brand toilet seat was born and recognized worldwide. In 1956, Beneke strengthened the organization with the introduction of Magnolia Products; a move which marked the first time a major toilet seat manufacturer marketed seats through two completely separate channels of distribution – Beneke Products for the commercial/construction market and Magnolia Products for the retail replacement seat market. Over the next two decades, Beneke Corporation branched out into foreign countries around the world – France, Canada, Germany, and Venezuela, which afforded Beneke manufacturing and distribution facilities throughout much of the Free World. Beneke Corporation merged with Beatrice Foods Company of Chicago, in 1969, and later named G. N. “Bud” Sanderson as President and CEO in 1975. In September 1983, Mr. Sanderson purchased the company and its subsidiaries from Beatrice and formed Sanderson Plumbing Products Inc, maintaining Beneke as the wholesale plumbing trade name. In less than a year, Mr. Sanderson passed away leaving the company to his wife, Sandra Brook Sanderson. Mrs. Sanderson served as Executive Vice President and Assistant Corporate Secretary and, in 1986, Mrs. Sanderson was named as President and CEO. Sanderson Plumbing Products Inc now has several divisions to meet the specialized needs of our customers. 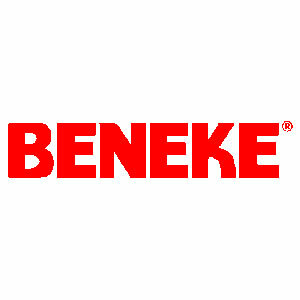 • Beneke Division provides seats to the plumbing/wholesale market. Since 1954, the Tuffy trade name has been a mainstay in the wholesale and facility maintenance market. excellent assortment of fashion colors and trendy, decorative seats. • Portable Sanitation Division markets seats for the portable restroom industry. • Aircraft Division markets seats for various aircraft models. Beneke’s Aircraft Division is NASA’s sole supplier for space shuttle seats. • Manufactured Home Division markets seats to the manufactured home industry, recreational vehicle, and marine industry. • Sani-Med Division markets healthcare and handicapped seating aids to consumers, hospitals, and nursing homes. • Export Division offers an international adjustable hinge to meet the sanitary ware specifications of most countries. Fluidmaster, Inc. was born in 1957 when founder/inventor Adolf Schoepe decided to bring a better idea to life, a better product to the marketplace. Long convinced that the existing toilet technology was inefficient and unreliable, Schoepe devised a far more effective fill valve that could readily replace other, less capable mechanisms. It was designed with far fewer moving parts and constructed from premium materials that would outlast corrosion-prone metals. Most important, it was designed to work with, rather than fight against, water pressure. Plumbers and do-it-yourselfers soon realized the Fluidmaster valve outperformed any other. It operated smoothly, quickly, quietly. And it stood up to years of flushes, even in hard water. Why do Fluidmaster parts last so long? Superior engineering and top-grade materials. We keep that spirit of invention alive by always looking (and finding) new ways to make our repair parts work better and last longer. The popularity of Fluidmaster valves has created a perfect springboard for Fluidmaster's expansion into related product lines. Today there is a Fluidmaster part for nearly every toilet tank problem. Even toilet manufacturers like Kohler, Eljer and Briggs presently rely on Fluidmaster to add value to their own products. 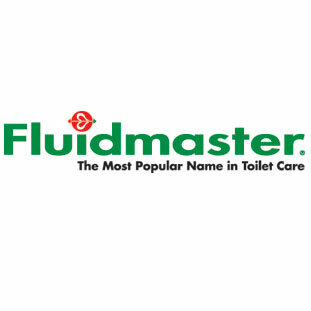 Now, 43 years after surprising the industry with its trailblazing product, Fluidmaster sells more toilet tank replacement valves than any other manufacturer in the world. 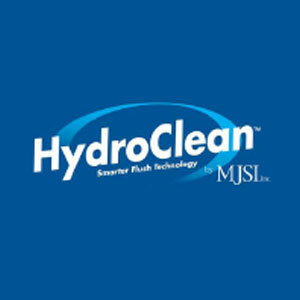 Founded in 2003 by fourth generation plumber, Michael Schuster, MJSI is dedicated to developing innovative products that dramatically conserve water. Always a tinkerer, Mike became frustrated with the outdated and inefficient toilet mechanisms he confronted daily as a plumber. In 1999, he filed for his first patent on the TurbujetTM, a cleansing arm that removes rust and sediment from toilet tanks and prevents slime buildup on the flapper. Five years later, the TurbujetTM technology is one of 9 issued or pending patents by MJSI that help promote water savings. Focused on Innovation in Water Conservation, MJSI believes that their products will play an important role as the predictions of world-wide water shortages in the near future are realized. Unity Networking is your best source for discontinued and hard-to-find plumbing fixtures and faucets. Unity has been helping plumbing wholesalers sell their slow moving inventory since 1991. 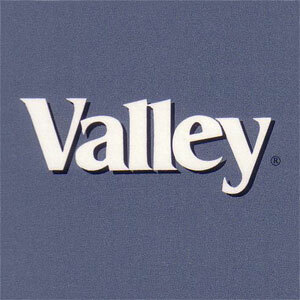 Unity’s computers list tens of thousands of products, in stock at 400 Kohler and American Standard wholesalers nationwide. CESCO BRASS, Ltd. is a privately owned Connecticut Corporation. CESCO BRASS produces specialty plumbing products developed by two of the plumbing products pioneers: Scovill Manufacturing Company and Burlington Brass Works, with origins to 1802 and 1902, respectively. Burlington and Scovill brand toilet tank products have been popular for more than a century. CESCO BRASS started operation in 1981 and in 1986 relocated 8 miles north, from Waterbury, Connecticut to Thomaston, Connecticut. The Company restructured operations in 2003, selling the relevant (“job shop”) assets of its custom product manufacturing business while retaining and relocating its standard product business to a more suitable facility in Thomaston, Connecticut. 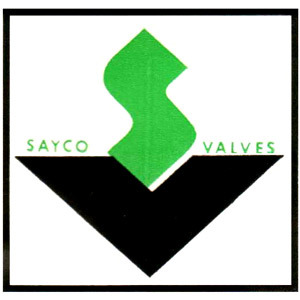 The Company is one of the few remaining US manufacturers and suppliers of professional quality, brass float valves (ballcocks), flush valves, tank levers, and toilet accessories. CESCO also serves as a private label and OEM supplier of specialty plumbing items. CESCO sells directly and through sales agents to national accounts, wholesale plumbing distributors and specialty plumbing distributors. End customers for the Company’s standard products are plumbers, building maintenance professionals, and homeowners. Under new management since 1992, CESCO has streamlined its product line, added new items, and improved the functional performance, quality, and reliability of its products. The Company made important product enhancements and improvements, added new, code-approved products for one-piece and two-piece gravity flow toilets, and discontinued certain products. ASSE-authorized laboratories have certified its toilet fill valves in conformance with the ASSE 1002 Standard for anti-siphon performance. CESCO BRASS established a web site in 2000 and added an on-line store in 2002 to serve its customers. 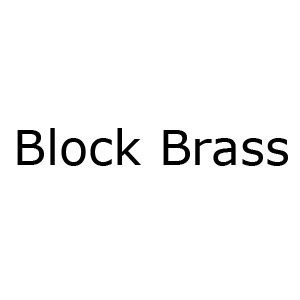 The Company’s web site address is https://www.cescobrass.com. Coast Foundry began in 1946 with the first all brass valve called the "Gem". Thirteen more designs followed in a progressive search for the perfect water control valve. The “Made in the USA” Coast fill and flush valves were produced in Pomona California until July 2008. Coast Foundry build a reputation as the most reliable and innovative OEM supplier for the toilet industry for more than 60+ years.The original Coast Foundry had 14 generations of product development, in both brass and plastic components and over 112 different product variations on flush valves and fill valves alone. 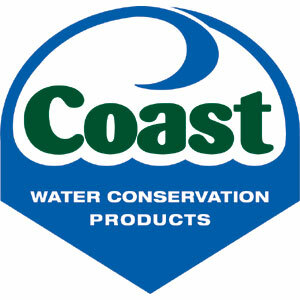 Coast Products was formed in 2009 after selecting the new base of operations in Panama City Beach, Florida. The corporate intention was to carry on the legacy of USA manufactured quality water control products. Coast Products has production capacities of over 12 million valves per year to serve both the OEM partners and the aftermarket replacement repair solutions. Coast Products can deliver the largest selection of toilet trim components to choose from in the plumbing industry. A key investment for the future is the full integration of manufacturing and assembly in one single facility. Coast Products main manufacturing facility in Panama City Beach Florida will total over 75,000 square feet of floor area with expansion to 150,000 square feet available for increased production needs. Coast Products integrated facility achieves higher quality standards with - in house injection molding, robotics or machine automated assembly and onsite product testing and design. The inventor of the Flushometer and founder of Sloan Valve Company was born in Liberty, Missouri. After serving as an apprentice pipe fitter, he traveled to Chicago and became a foreman, a superintendent, and finally, an independent contractor. Through intense self-education, Mr. Sloan developed a superior knowledge of electrical circuitry and hydraulics, which led to a total of 64 inventions during his long, productive life. Among these were a relay booster for telegraph lines and a fire-safety curtain for theaters. The Iroquois Theater fire in Chicago, which claimed hundreds of lives, inspired the latter invention. The fire started backstage and spread rapidly into the auditorium. Mr. Sloan's conception was a fireproof curtain with heat fusible linkage, which would drop instantly and automatically in the event of a fire. It was simple, practical and, like most good inventions, immediately obvious once somebody thinks of it. Mr. Sloan then developed the idea for the Royal Flushometer with its revolutionary design and ingenious simplicity. The Royal is a diaphragm-type valve and was the original product of Sloan Valve Company when it started in business in 1906. It is still the best-selling Flushometer in the Sloan line (literally millions are in use throughout the world). While there have been many refinements and improvements in component parts over the years, the working principle and fundamental hydraulic design have not changed. No figure in our industry ever faced a greater sales challenge than Mr. Sloan in launching his new company, and none ever persevered more courageously in the face of resistance and discouragement. The benefits of using Flushometers instead of toilet tanks in commercial structures were considerable and undeniable: a saving of water, much less maintenance, a relative freedom from breakage and vandalism, and virtually no recycling time between flushes. These benefits would pay every day for the life of the building. But to get them, you had to accept a somewhat higher initial cost because the pipe size of the branch line supplying the fixture had to be larger than that required for a toilet tank. But the real problem Mr. Sloan had to overcome was the normal human resistance to change. Plumbers were afraid to install Flushometers because they knew nothing about them. Architects would not specify them for the same reason. Owners did not want to be the guinea pigs. Lenders were leery of unproven products. Some fixture manufacturers even refused to furnish their fixtures when Sloan Flushometers were to be installed. The first year he sold one Flushometer — that's right, one! The next year, he doubled his business and sold two. In the third year a phenomenal advance was made: He sold 150 Flushometers, and from then on, sales shot upward. Whenever a building engineer would permit, Mr. Sloan would install a Royal Flushometer for demonstration and let him see the savings and benefits for himself. The flush valve proved so incomparably better that the trade began to relax its opposition. Mr. Sloan also developed piston-type Flushometers. Over the years, the Star, the Crown, the GEM and the Naval, plus automatic urinal flushing systems and the Act-O-Matic showerhead, joined the original Royal. He made his product names bywords in the industry through powerful, consistent advertising in plumbing, architectural, and institutional publications, using cover positions whenever available. Mr. Sloan died just short of his 93rd year. The company he founded and built is today the world leader in Flushometers. Its foundry and plants are among the most modern and efficient in the plumbing industry. For more than three decades, Sloan has pioneered plumbing products and systems. Sloan is committed to spend the next 100 years of its industry leadership to transform water use in this country and around the world. Sloan begins this effort focused on those same fundamentals that have led to its first 100 years of success: revolutionary designs, an uncompromising commitment to quality, and a devotion to serving its customers. FLUSHMATE has been honored with awards and recognition for its pressure-assist technology. FLUSHMATE® IV was selected by BuildingGreen Inc., publisher of GreenSpec® Product Directory and Environmental Building News™, to its Top 10 new green building products because of FLUSHMATE IV’s environmental impact in saving water. The award recognizes the most innovative and exciting “green” building products added to the GreenSpec® Directory during 2004. Plus, FLUSHMATE received the American Society of Plumbing Engineers’ Award for Outstanding Service, which recognizes the plumbing engineering technology advancement that best promotes the plumbing industry. According to Joe Bosman, Chief Operating Officer of FLUSHMATE, "It is all about performance. Your typical consumer is not that concerned about saving water, they just want a toilet that works. By offering 1.6 and 1.0 gpf technology we cover all of our customers' needs." High customer satisfaction ratings of FLUSHMATE performance continue to drive FLUSHMATE sales upward. Sloan FLUSHMATE, headquartered in New Hudson, Michigan, manufactures FLUSHMATE operating systems at its state-of-the-art design and manufacturing facility, which has been ISO-9001 certified since 1994. Sloan FLUSHMATE is a division of Sloan Valve Company, Franklin Park, Illinois. Sloan Valve, which has been in operation since 1906, produces plumbing products for commercial, industrial and institutional markets worldwide. *Flushmate is currently updated on this site from 1988 to 2007. Flushmate uses series and model numbers on the top of the tank. With this information you can easily locate your tank and all the information on that tank as a member. Once you become a member in the “Product Search” screen you would select “Sloan Flushmate” in the manufacture field. If you only had the series number, type it into the “Product/ Part Name” field and search. The search will populate all of the tanks in that series. If you have the model number type that in the “Product/ Part Number” field. This will populate your tank and any of its’ replacement tanks. 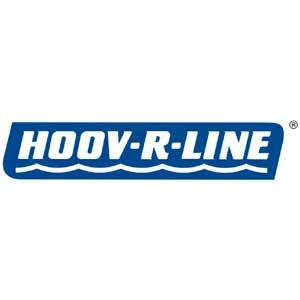 For more than 30 years, Hoov-R-Line has been a major OEM supplier of quality ballcocks and tank accessories to most pottery manufacturers. Founded in 1989, Palm Beach Plumbing Parts is a plumbing parts wholesaler and manufacturer specializing in original equipment plumbing repair parts and specialties. Toilet parts have always been an important segment of our business. In fact our motto is “Our business is in the toilet”. When it became apparent that parts for some of the older one-piece toilets were in danger of no longer being available, we made the decision in 1997 to purchase the rights to manufacture Indiana Brass ballcocks. That product line consisted of proprietary ballcocks for older Crane, Eljer, Rheem, Case and Briggs toilets. In 2003 we expanded our product offering by buying the rights to manufacture Case and Briggs proprietary ballcocks from Cesco Brass. All products are made to the original specifications so that individual parts will fit and operate properly in the original ballcock bodies. 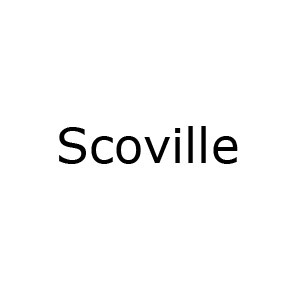 Today, we are one of the leading suppliers of proprietary brass ballcocks for older one-piece toilets in the US. January 2, 1999 Wade started their 132nd year of providing specification drains to the plumbing industry. When Chicago was young, James J. Wade finished his apprenticeship and became an accredited master plumber. Many of Chicago's early skyscrapers were Wade jobs, and a few still stand today. Some of his jobs were destroyed in the great Chicago fire of 1871, but he helped both as a maker and installer of drainage materials in the subsequent years of re-building. J.J. Wade & Sons became one of the largest contracting firms in the Chicago area, and Wade himself helped write the city's first plumbing code. With projects in both residential and commercial areas, Wade was an industry leader at a relatively early age. In 1884, he served as an officer of the NAMP (National Association of Master Plumbers.) One of the organizers of the Chicago Plumbing Contractors Association, Wade served as its president in the 1890's. Plumbing products of a century ago left much room for improvement. J.J. Wade was not satisfied with available materials, and soon turned his talents to product design. One specialized item followed another, patent after patent was issued, and soon other plumbing contractors offered to buy Wade's products. 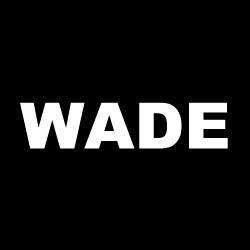 Gradually, Wade became more and more a product manufacturer than a contractor. By 1890, J.J.'s son, Thomas P. Wade was manager of the production division, Wade Iron Sanitary Manufacturing Company. Within a few years, the contracting business had been absorbed by the burgeoning production operation. The company employed factory salesmen to implement sales of Wade Drains and plumbing products. Wade entered the 20th century as a forerunner of specification products and special castings. In the thirties, Wade Manufacturing Company was born as the company struggled out from under the depression. Still based in the Chicago area at the outbreak of World War II, the company produced government specialties during the war years. In 1963, Wade, Inc., was purchased by Tyler Pipe and re-located in Tyler, Texas. Assimilation of the Wade organization as a part of the Tyler Pipe Industries was the best possible assurance that the standards of J.J. Wade would be maintained, and that still holds true today.